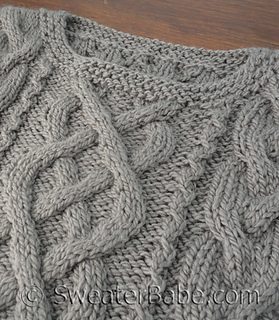 Lots of chunky cables come together stylishly to make this modern take on the fishermans’ sweater. 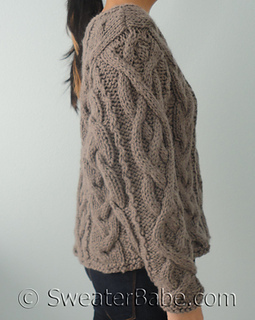 This knitting pattern is both fun to knit and wear! 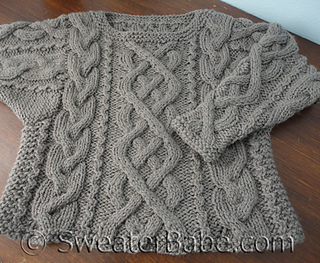 Worked on size 13 needles throughout, the design has plenty of cable stitch variations to keep you challenged. Plus, it works up pretty quickly!